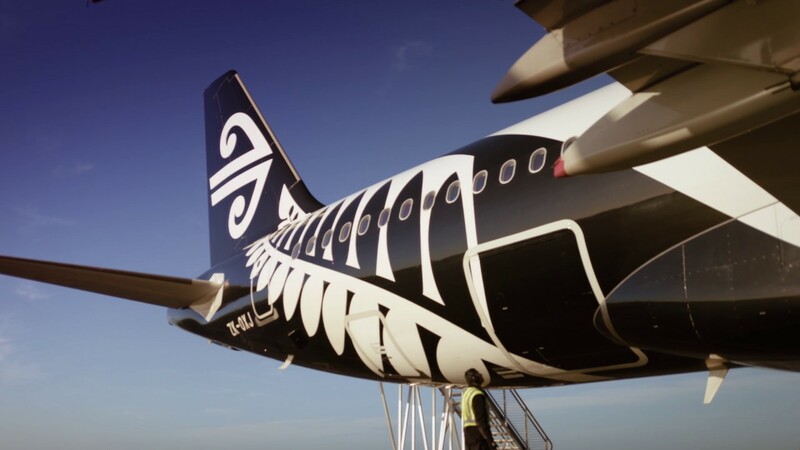 The Air New Zealand Airport & Airline Operations teams are based across the country, delivering a world-class service and uniquely Kiwi welcome to the thousands of passengers that pass through our airports every day. If you’re passionate about customer service and want a career that can take you places, this could be the opportunity you’ve been waiting for. The airport is where a lot of the action takes place. It’s the engine room of our business – a dynamic, fast-paced, 24/7 operation where we work to tight time frames while ensuring the health and safety of our people and customers at all times. As part of our Airport Operations team, you’ll have a big impact on our customers, their journeys and how they perceive our airline. Take a look at the opportunities we have across the country. Our Airline Assistants are part of the Passenger Services team alongside our Customer Service Assistants. Airline Assistants meet and greet customers at check-in, assist with the bag drop, provide special assistance and manage arrivals and departures. Our Airline Assistants gain valuable experience in the operation and many go on to upskill and apply for a Customer Service Assistant role. Our Customer Service Assistants are the welcoming face of our check-in experience and manage the customer experience through to the departure gates. Customer Service Assistants manage the front of house experience for our customers, assisting with check-in at our kiosks, oversize baggage, special assistance, ticket sales and baggage tracing. They also manage arrivals and departures, boarding flights and meeting customers off flights. Our Customer Service Assistants can also develop and build their skills in specialist areas such as service control, load control and the Airport Operations Centre. Our cleaners play an important part in creating the important first impression when you get on an Air New Zealand aircraft. They are responsible for cleaning the interior of the aircraft as soon as it arrives at the gate and making sure it is presented back to our high standards in a very short timeframe so that we can have the next flight leave on time. It is a very team orientated role, which each person being responsible for their tasks. Cleaners can develop their skills and progress from this role to other positions, including a driver, foreman or team manager. As a Loader, you will ensure that our customers’ bags are handled securely and arrive on time. It is a role that is physically very demanding with a lot of heavy lifting involved. With aircraft taking off and landing throughout the day you'll always be kept busy. Our Loaders work both indoors and outdoors, and with a variety of aircraft and machinery. As you gain in your experience, you can develop more specialist skills. Our Team Managers are responsible for supervising and managing our people within various roles across the operation. Whether you are managing front of house or back of house you would be responsible for up to 15 direct reports. Team Managers are shift workers and will be aligned to a shift with their people, managing their day to day performance, developing our frontline and operational workforce. A lot of our Team Managers are promoted from within our operational teams ensuring they have the operational knowledge, as well as required great relationships with stakeholders across the business. Our Lounge Hosts are the welcoming face of the Air New Zealand Lounges. Lounge Hosts are there to meet and greet customers in the lounges and assist with any needs they may have, such as disrupted flights or seat changes. No airline operates as planned, so all of them have some form of daily operations management process. At Air New Zealand we have a dedicated Airline Operations team responsible for managing and coordinating our daily domestic and international schedules. This team is responsible for managing real-time operational decisions through various schedule adjustment and recovery processes. Safety is paramount and at the heart of everything we do. We work to stringent regulations, conditions and guidelines, and we want to make sure we are going above and beyond these and have the safest operation possible. People Safety incorporates aviation and occupational health, safety and wellbeing. Our People Safety team are expert advisors who partner with stakeholders across our business to ensure the health, safety and wellbeing of our customers and our employees. We are embedding a culture that makes safety a true shared value through focusing on mindful leadership, proactive risk management, the fostering of healthy relationships and ensuring appropriate tools and resources are available at all times. Safe practices must be inherent in our systems, our operating procedures and most importantly in the way we think and act. We believe health, safety and wellbeing is everyone’s responsibility and it requires a collective approach to see everyone go home safely every day. Operations Controllers are ultimately responsible for coordinating all operational aspects in relation to disruption recovery. A large part of their role is making collaborative decisions to maintain schedule integrity while ensuring our customers reach their destinations in a timely manner. Flight Planning is all about planning the safe operation of an aircraft from the gate at the departure airport to its arrival at the destination. Using our mission-critical suite of systems and tools, you might be looking at weather patterns, or monitoring aircraft performance data to choose the most economical route, while taking into account all safety-related information from aviation agencies. Load Controllers make sure the right weight and balance information is sent to the flight deck before takeoff. Information provided by Load Control is used to maximise space, the amount of payload (cargo, customers and bags) carried on a flight, rationalise the amount of fuel required and ensure the aircraft is loaded safely and is capable of operating a specific flight. Our Navigation Services team is responsible for determining and maintaining navigation databases for our aircraft and flight planning system. These include databases loaded into an aircraft's onboard Flight Management System that provide the pilot with route information, arrival, approach and departure procedures for every airport. Navigation Services also determine the suitability of airports for a given aircraft type and check the integrity of the satellite based approaches used by Air New Zealand. These satellite based approaches significantly enhance the reliability of services to locations such as Queenstown. The Operational Integrity & Safety team leads and manages the operation of a Safety Management System within Air New Zealand. The team ensures compliance with the Civil Aviation Rules (CAR) and Advisory Circulars (AC) and foreign airworthiness authority requirements. The Safety Management System assures safe air and ground operations through risk management, standards and compliance and is subject to regular safety auditing to monitor safety performance. Our Standards and Training division is responsible for designing and delivering all pilot training. They are tasked with ensuring that rigorous standards of operational excellence are achieved and maintained by every one of our pilots. Learning is a continuous process for our pilots, as they move from one aircraft type to another and step up to more senior roles. The Standards and Training team offers career advancement opportunities to pilots who have a passion for teaching with many taking the opportunity to pass on their knowledge and expertise to their pilot colleagues. Working at Air New Zealand requires dedication and the right attitude. Depending on your role with Airport Operations and Airline Operations you may require certain work experience. Interested in joining us? Here’s how our Airport Operations and Airline Operations recruitment process works. Please note - Air New Zealand’s Uniform policy does not permit visible Tattoo’s and/or Body art in our Koru Uniforms. If you have Tattoos/Body Art anywhere on your body and are wanting to apply for our Front of House or Lounge positions, please answer Yes to this question when you apply and we will discuss this with you directly. If you reach this stage, you will go through a number of background checks relevant to the role you have applied for such as references and police checks etc. If you are successful through the vetting process, you may be offered a role and will then receive an employment contract to sign. Once we have your signed contract and completed new employee paperwork back, we will process this in our payroll system and then you will be one of us! There are many ways to develop and progress your career in the airport environment. These are some examples of the types of roles you may progress through if you wish to reach a leadership position in the airport. You don’t have to work in the main centres to get ahead at Air New Zealand. There are plenty of opportunities and lifestyle benefits at our regional airports too. Air New Zealand Airport Operations and Airline Operations teams are an important part of our business and we recognise that by offering competitive hourly rates and salaries. The airport never sleeps, so there’s always lots going on – no matter what time you come in for your shift. Regardless of which location you work in, you’ll be part of a supportive team which is committed and passionate about working for Air New Zealand. We are one of only a few companies that offer penal rates and shift allowances to staff who work unsociable hours in the airport. This is not just a job – it’s a fantastic career opportunity. Whatever your role is in Airport Operations or Airline Operations there are opportunities to develop your career further. Once you are fully trained in the role, we offer ongoing refresher training to keep your skills current as well as upskilling training to take your skills and career to the next level. If you become one of our high performing staff, you’ll be able to apply for a specialist skill role and a range of leadership roles within Air New Zealand. Airports are highly regulated and security-sensitive environments so you’ll need to complete intensive training before you begin your role. Once you’ve started, you’ll experience the buzz of working in an airport. There’s never a quiet moment, whether you start at 3pm or 2am. You may find yourself getting quite a workout too. Passenger service staff can walk up to 10 kilometres in a shift and baggage services staff can load more than 1,000 bags per hour. Whatever your role, you’ll be welcomed by your team members and quickly become part of the Air New Zealand family. Problem solving, collaboration, leadership, on time performance and customer experience are what you will need to manage, to ensure we get our customers to where they want to be.